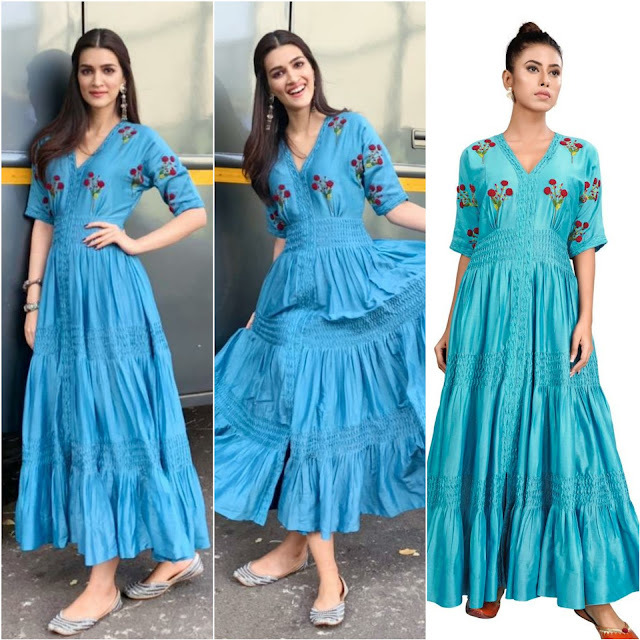 For the recent public appearance actor Kriti Sanon picked up a long blue maxi dress by The Right Cut. Center partitioned pinned up open hair along with silver earrings and juttis finished off the look. Kriti looked simple and pretty. 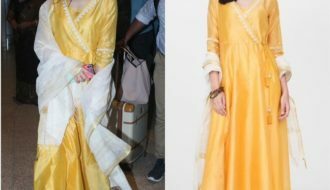 She was styled by Sukriti Grover.